The event has been planned to coincide with The Evaluator Institute’s April 2019 training program. Registration for TEI courses is not a prerequisite for attending the panel. Re-scheduled! Workshop: Consulting Skills for Evaluators w/ Matt Feldmann, Ph.D. 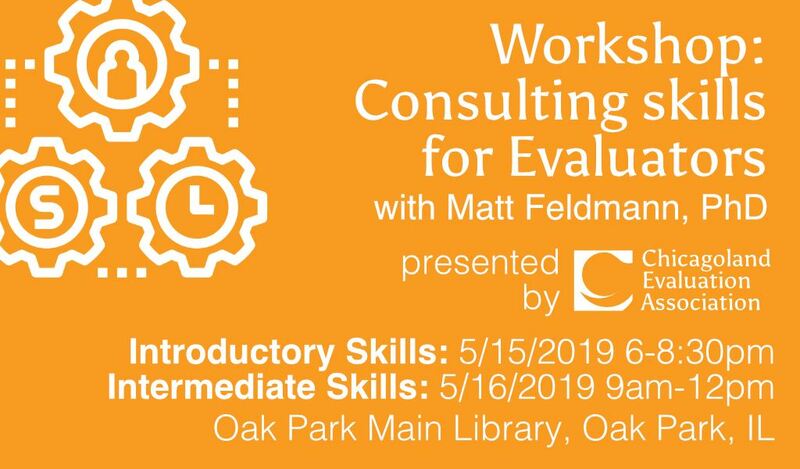 This skill-development workshop is designed for evaluators who are looking to begin offering evaluation consulting services or who are looking for tips to improve their consulting. This workshop will provide guidance for managing a successful evaluation consulting practice. Day 1 of the workshop will focus on foundational skills for those new to evaluation consulting. Day 2 will offer more advanced guidance for evaluators with some existing consulting experience. Members are welcome to attend for one or both sessions. Dr. Matt Feldmann is the principal researcher and owner of Goshen Education Consulting Inc. 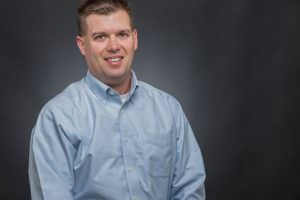 He started the company in 2009 due to the untapped need to provide data interpretation and evaluation services to the educational communities in Southwestern Illinois. Goshen Education Consulting is a reflection of his background, interests, skills and opportunities that include deep data analysis, clear and concise reporting, and a focus on program development. Since its founding, Dr. Feldmann and Goshen Education Consulting have led 18 U.S. Department of Education Math and Science Partnership evaluation projects and has been involved with the Illinois Math & Science state-wide evaluation team for Math and Science Partnerships. Beyond the U.S. Department of Education projects, he also has led multiple education evaluation projects with the National Science Foundation, Department of Defense, W.K. Kellogg Foundation, United Way, Monsanto, Astellas, Swarovski and the Illinois Biotechnology Institute EDUCATE Center. Dr. Feldmann is a frequent speaker on how to conduct rigorous evaluations and a frequent presenter with his clients concerning the management and outcomes of their projects. Professionally he has served as the chair of the American Evaluation Association’s (AEA) Independent Consulting Topical Interest Group and president of the AEA local affiliate, the Evaluation Association of St. Louis. Dr. Feldmann lives with his wife, three children, mother-in- law, three dogs and two cats in Edwardsville, Ill. He is currently working on running 50 marathons in all 50 U.S. states by the time he turns 50. 04/10/2018 Empowerment Evaluation Perspectives - A Webinar Conversation w/ David Fetterman, Ph.D.
01/31/2018 Workshop: Introductory Consulting Skills for Evaluators w/ Matt Feldmann, Ph.D.